It is not unusual to get in trouble with a locked Windows 7 computer, in fact, a lot of Windows users get in trouble with their locked user account and finally they end up reinstalling the Operating System. The situation gets harder when the Administrator account gets locked. So, if you are stuck with a locked Administrator account and have no idea how to bypass Administrator password Windows 7, then use the following procedures to get access to the account again. If you ever faced a system locked out problem than most of us thinks that reinstalling window is the only way but that’s not the truth, using password reset disk is one of the method for Windows 7 password bypass. Just follow the simple steps below to get access to your system. 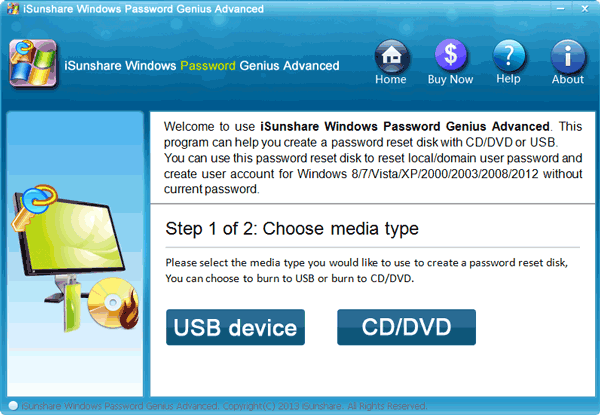 For this method to work you must have a password reset disk available before you forgot Windows 7 password. Step 1: First start your Windows 7 computer or laptop and connect it with the password reset disk. 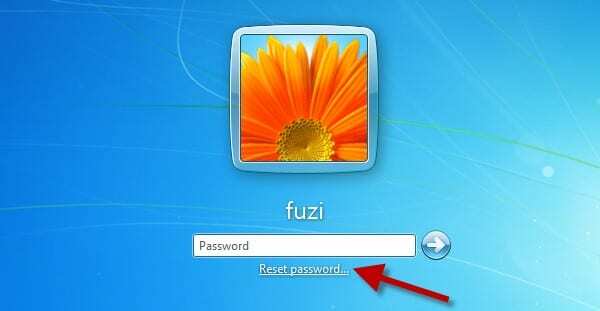 Step 2: Now choose the user account on Windows 7 login screen for which you now you have created a password reset disk. Step 3: Type any incorrect password, as you have forgotten your original one, when it is prompted incorrect click “OK”. 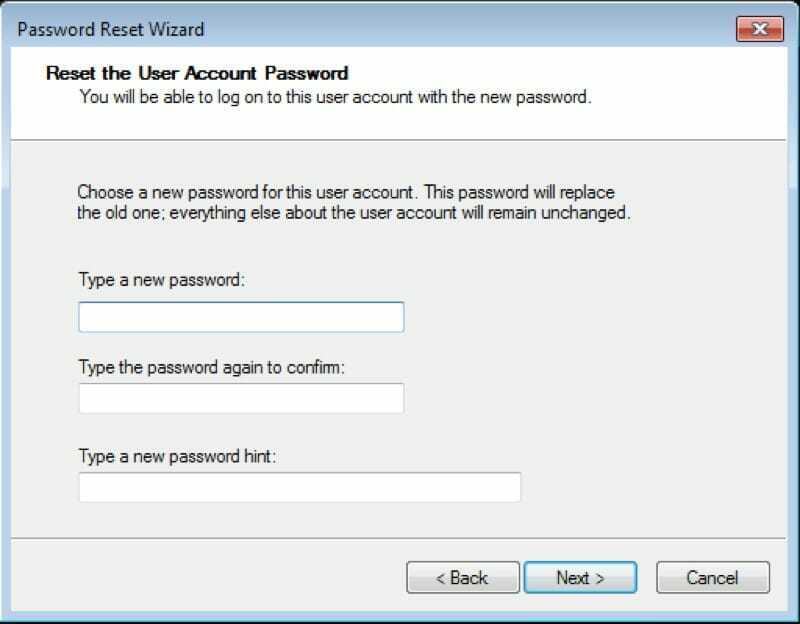 Step 4: To password reset wizard click on the Reset Password link under the password box. Step 5: Then tap on Next and choose your inserted password reset disk and click on Next. 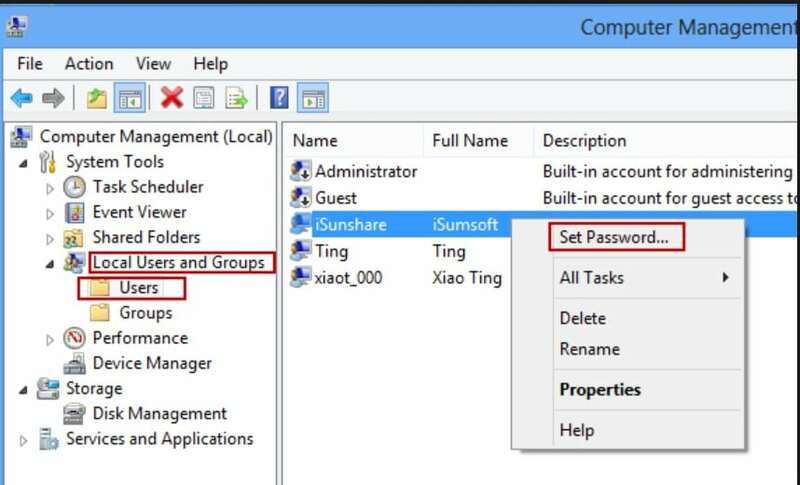 Step 6: Type a new password for your Windows 7 administration account and just click Next and Finish and now you can get access to your system with newly created password. After this you can login to your system with new password and can easily get access to your important files or documents. This is the second thing you should do if you are locked out of Windows 7 account, the solution is available on Windows 7 waiting for you to find it. 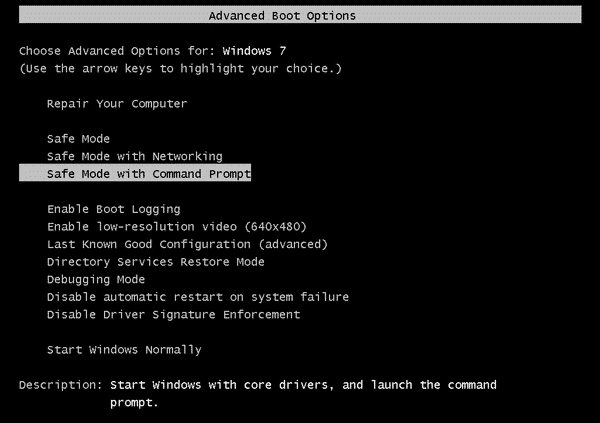 You can easily bypass Admin password Windows 7 using the Command prompt. Step 1: Restart the computer and start tapping “F8”, you will get access to Advanced Boot Menu. Step 2: Now, you need to use the “Arrow” keys to select “Safe Mode with Command Prompt” and tap “Enter’ on the keyboard. 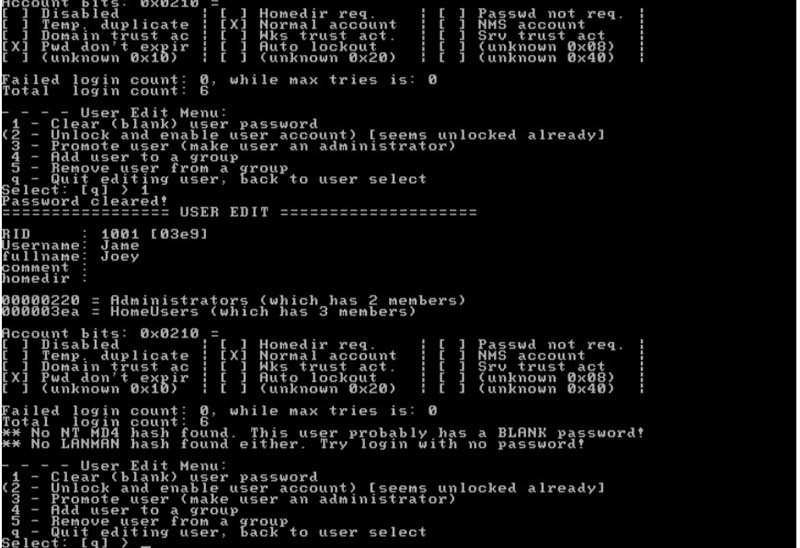 Step 3: Now, the Administrator account which was hidden all these time, will be visible on the Login screen and the system will run the Command Prompt with the Admin options automatically. 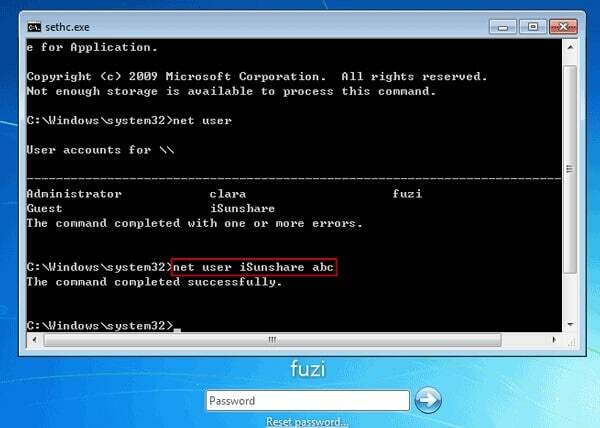 Step 4: Now, type “net user username new_password” and you will be able to bypass the Windows 7 Admin password. This is one of the simplest procedures. But if it fails to bypass Administrator password Windows 7 then you need to use the following method. Super admin account is the hidden administrator account which has all the rights and it is activated at the time you install your operating system and make your admin account. Super admin account is especially used to perform emergency tasks such as when you forgot your login password. 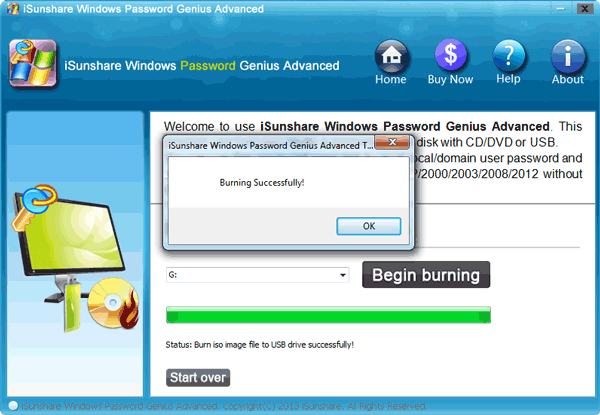 This is another method for Windows 7 password bypass, you just need to follow these simple steps. Step 1: First turn on your computer and when login screen appears press shift key 5 times in a row. Step 2: SAC will appear or activated on the screen. Step 3: Now enter into your computer or PC with this super admin account, it would not require any password for swift entry. Step 4: After you are in your computer right click the “This PC” icon and select manager option from the drop down menu. The computer management operating window is ON now. Step 5: Now find “Local Groups and Users” tab and then “user” tab under it. Then right click on the locked user account and choose “Set Password”. 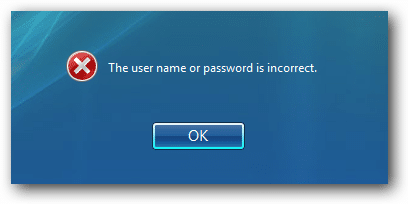 Step 6: After setting your new password sign out to your PC and sign in again but this time with newly created password. Naturally, getting into locked Windows 7 Admin account is more difficult than getting into a User Account. If you are locked out user account then you can possibly unlock the account from the Admin account but you won’t have that privilege while bypassing Windows 7 Admin account password. But not to worry, Windows Password Recovery have the solution for it. The procedure is separated into 2 parts, you need to make the recovery disk in the first part and then you are going to use it to bypass Windows 7 Administrator password. Step 1: First, install the program and then connect a USB drive to the computer. 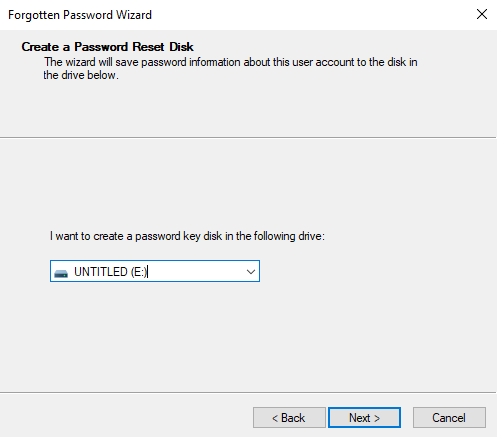 Step 2: Launch Windows Password Recovery and select the UDB drive. Step 4: Then, select “Begin Burning” to make the recovery disk. Step 5: After a few minutes click “OK” to exit the Wizard. Step 1: Connect the USB drive to the locked computer and restart it. Step 2: Tap “F12” to enter Boot Menu. Step 3: When you get to the Boot Menu, choose the USB drive and tap “Enter”. Step 4: Now, Windows Password Recovery will load on your locked computer. Step 5: Then, choose the Windows system and the Admin account. Step 6: Lastly, click “Reset Password”. Immediately after finishing the procedure your computer will reboot automatically. When it starts again you won’t have to type any password to get access to your Administrator Account. If you forgot administrator password Windows 7 no reset disk, then it is the best solution for you to bypass Windows 7 Administrator password. Offiline NT password tool is a very small and simple program, it is also considered as one of the best Windows 7 password reset tool available. If we talk about the procedure itself then it is very simple, the instructions and the right choices will be provided to you. Step 1: So, you need to download and extract the ISO file to a USB drive. Step 2: Now, connect that USB drive to the locked computer, the NT Password will load automatically on the computer and it will ask for your permission to access the registry. Step 3: The default choice is “Password Reset” so just leave it as it is and press “Enter”. Step 4: In the next window you need to select the default option which is “Edit user Data and Password” and press “Enter”. Step 5: Now, a list of user accounts will be visible on the screen and you need to type the correct username and press “Enter”. Step 6: Now, you will get the option to clear the password, choose it and press “Enter”. Step 7: So, just press “Enter” and the password for that account will be completely blank. You just need to type “!” and tap “Enter” to finish. 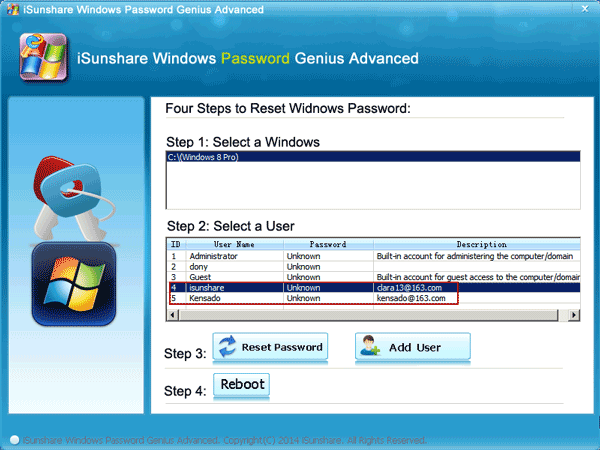 This is one of the most effective procedures to break Administrator password in Windows 7 without login. 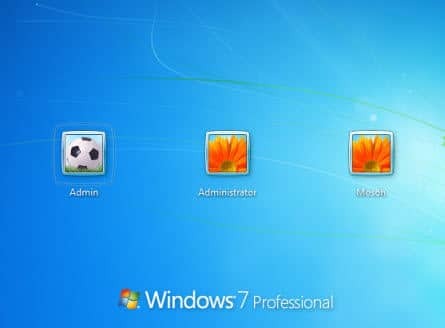 Therefore, if you are locked out of your Windows 7 Administrator account then it is definitely a matter of concern but these days there are solutions to every problem. Three of the most effective fixes are discussed in the article if you don’t know how to get past Administrator password on Windows 7 and you can very easily use them to bypass the lock and get access to the account again. We highly recommend Windows Password Recovery as it is more effective overall!